football in different football clubs around the world. Some of these players earn up to £600,000 pounds every week as salary and millions on a yearly basis. These pro players earn mind blowing salaries while playing for clubs in top world football leagues such as the English premier league,French League 1,Spain's La Liga,Italian Seria A,German Bundesliga and the new cash cow league which is the Chinese super league. They also sign multi-million pounds endorsement deals with top multinational companies. 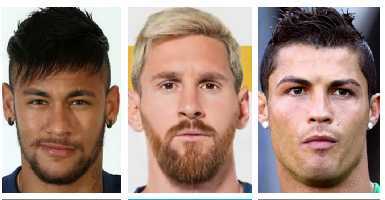 This year,Neymar is the world's highest paid footballer,however Christiano Ronaldo and Lionel Messi are richer with a higher net worth. CR7 has an estimated net worth of $420 million dollar while Messi's net worth is pegged at about $400, Neymar on the other hand has an estimated net worth of $185 million dollars. In this post we shall take a look at some of the top 20 richest professional footballers in the world,and check out how much they earn on a weekly and yearly basis. Cristiano Ronaldo is the richest player in the world. Lionel Messi is the 2nd richest player in the world this year. Neymar Jr is the player that earns the most in the world,he earns up to £775,477 pounds weekly. Neymar made a £198m world record transfer from Barcelona to top French club PSG. He is the third richest football player in the world.